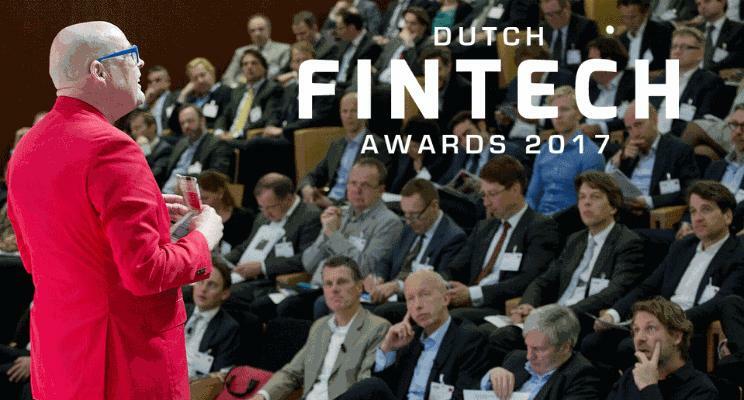 On April 21st the Dutch FinTech Awards took place at the Rabobank headquarters in Utrecht! 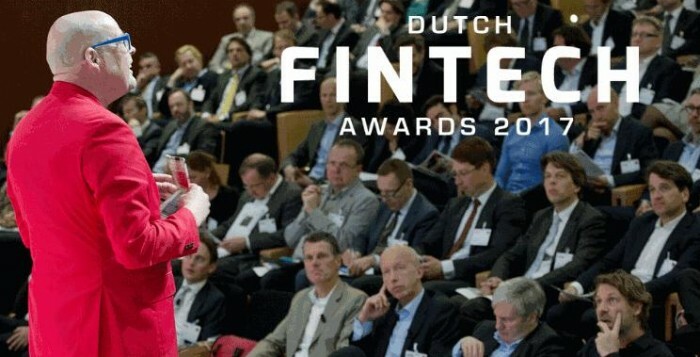 As chairman it was a hell of a job to organise a total of 21 companies who where fighting to be the number 1 FinTech company of The Netherlands! Over 15.000 enthousiasts voted for their favorite startup and combined with the vote of a judge of experts a top 3 in each category was featured, of which each company could pitch their idea in front of all attending stakeholders. The overall winner is BUX, an interactive app that allows everyone to participate in the stock market and makes it accessible to all, even if you have no previous experience whatsoever. CEO Nick Bortot has inspired over a million people to play with investments in stock. First you start off with funny money and once you get a hang of it you can begin investing. Over 70.000 users are already using the app for serious transactions. The number of users is growing rapidly and are, besides the Netherlands, also based in Germany and the United Kingdom. It’s very remarkable that of the 40 people working for BUX, only 3 have a financial background, others are all active in gaming, design and customer interaction. A very interesting company in the FinTech industry! What can we expect from BUX in the future? Alex Weber of the amazing German startup N26 was one of the great keynote speakers at the Award show. N26 is an entirely mobile European bank. After getting myself an account I found out it’s a real smooth process and completely optimized for smart phone usage. It’s also free to use, with is great since withdrawals from banks in Germany are really expensive. N26 currently has 55 million in investments and 300.000 clients of which 10.000 in The Netherlands. With just one license from the German national bank, they can do business in 17 countries in Europe, without first having to go to each central national bank, very convenient! What is their business model? And how is their idea different from the current system? Rabobank hosted the event and works together with young FinTech companies on an amazing scale. COO Ralf Dekker talks about speeding up innovation after fully stabilizing the system for the last few years. He thinks the new and quick companies are a great way to experiment with all kinds of changes and sees these startups as a big opportunity rather than a threat. What are the future challenges for Rabobank and what is their vision towards FinTech? InsureTech was a very interesting category and has 2 winners! One of them is Friss, an insurance platform with a fantastic fraud detection system. Second winner is Openclaims, an auction platform on which you can upload the damage of your vehicle and immediately get all kinds of suitable offers for your specific case. Jeroen Morrenhof, CEO Friss, has been working under the radar on this project for 10 years and expects to expand at a very big rate for the upcoming 10 years! How is he planning to do so? Below you can see the results of the public-vote, provided by Sqiffer!